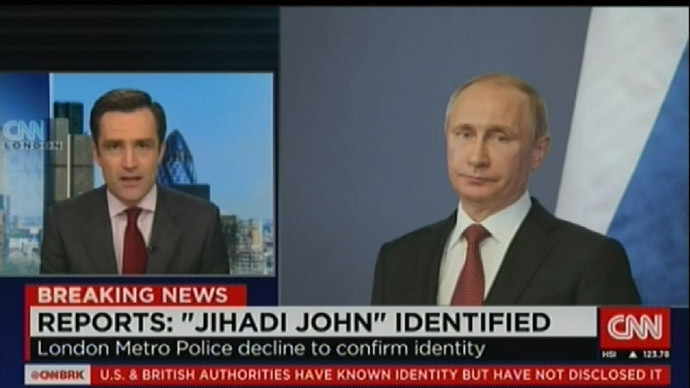 As for CNN, bloopers seem to be tormenting the channel as of late. Just previous week CNN’s map claimed the whole of Ukraine was occupied by Russia – under a title reading “Diplomatic & military crisis.” An earlier CNN attempt at a map placed Ukraine somewhere around Pakistan. СNN called the incident a technical failure in comments to TASS news agency. “Due to a failure of a video server during today’s breaking news broadcast, a photo of Vladimir Putin, prepared for our next report, was accidentally shown. We apologize for that mistake,” a channel spokesman told TASS.